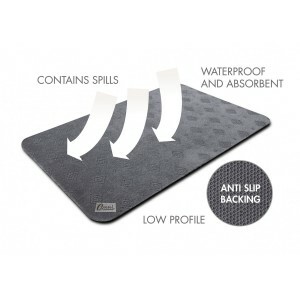 The Conni Absorbent Mat is designed to sit firm and flat on the floor to help prevent trips and slips in areas where liquid might be spilt. The non-splash surface absorbs fluid making it perfect in wet areas such as bathrooms and kitchens. Also, works well in protecting carpets from stains and odours. It can be used next to the bed or chair for leaks that may occur when arising and is excellent under commodes and IV stands. 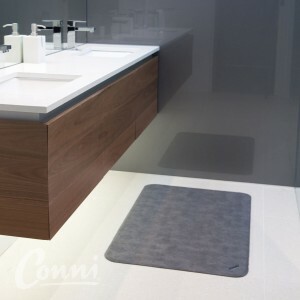 The Conni Absorbent Anti Slip Floor Mat is easy to wash by hand and can be used countless times. Rinse surface of mat with warm soapy water and hose off. Leave outside to dry.